The moment we have waited years for finally came this past weekend! Something we have been talking about forever and it was finally here. 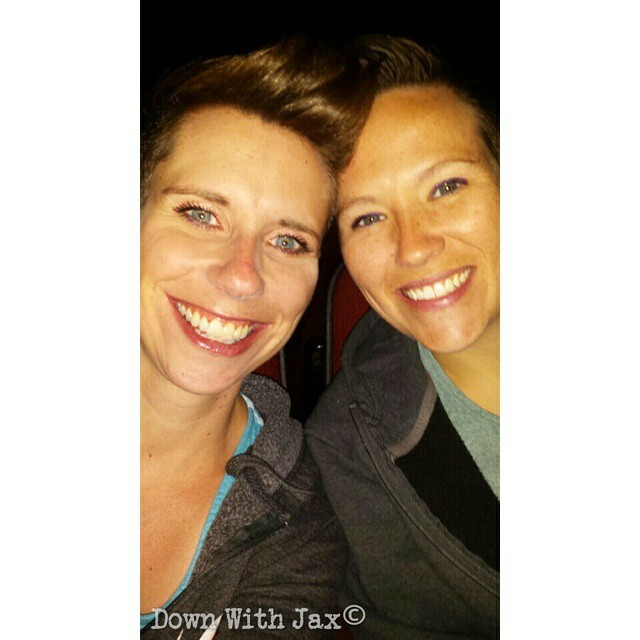 We arranged for Jaxson to go to his Granny’s house for the afternoon on Saturday so we could go see Pitch Perfect 2! Seriously, this movie has been HIGHLY anticipated in our household as we have spent countless hours watching, quoting, and singing the first one. Saturday morning we woke up knowing it was going to be a good day. We starved ourselves all morning so we could partake in a ‘movie theatre’ lunch consisting of popcorn, cheese sauce, pop and candy. Going to a movie is now a novelty and we must take full advantage of all the things going to the movies has to offer! After saying our goodbyes to the baby, driving to the the theatre, and buying copious amounts of horrible snacks, we settled in our seats. The theatre started filling up and was much busier than I thought it would be for a matinee on a warm sunny day. Only a couple minutes into the show I noticed there was a VERY loud man sitting a few rows behind us. It was apparent that this man had cognitive delays. For the first while I fought the uncontrollable urge to turn around and look. Not because I was annoyed, but I was so curious as to who it was. Out of respect for the gentleman and his caregiver I did not look. As the movie played it was obvious that this man was having the time of his life. He laughed so incredibly loud at the funny parts, clapped when there was clapping and he even ‘sang’ each and every song that played. I’m sure there were a lot of people in the theatre that were very irritated and annoyed with this mans ‘disruptive’ outbursts. I could tell that some of the people sitting around us were uncomfortable as they muttered between themselves. As the movie came to an end and the lights in the theatre came on, I turned around and saw a very happy young man in his early 20’s who was there with his caregiver. It brought a smile to my face to see his caregiver not only have him out in the community, but to have taken him to see a movie that he very much enjoyed. Our walk to the car we chatted and laughed about the movie. I then asked Alex if that young man annoyed her at all. She turned to me and said “absolutely not. I’m happy he loved it as much as we did”. I’m sure if this happened a few years ago we would have been more irritated with the distracting noises in the theatre. Maybe I can contribute our new found tolerance to being a parent or maybe it has something to do with being a special needs parent. Whatever it may be, I do know that one silly little 1 year old boy has already made us more understanding, and compassionate than we could have ever dreamed of being!